Editor’s note: This essay is excerpted from the short ebook The Boat: A Parable. Not God is the phrase they use in AA for realizing we are, well … not God. Not God is also the answer to the question, What is wrong with people, this place, my parents, our upbringing, education, choices and decisions, and probably our shoes , while we’re at it? We had come at the beginning of our lives to see and say there is something wrong with God, or the world entire, or with Christians. Then we decided two out of three are bad, and maybe we’d better do something about it. So we begin to obey. We study, memorize, go there and get the shirt. We join core groups, X groups, cell groups. We get our very own gen-you-whine accountability partner. We make promises, make plans, make it a little way in that way … then we make problems, make new promises, we make pacts with God, we make progress. Oh Lord, what fools we mortals be. Or Man, how numbingly average art our sins. Obedience becomes a snare. You take care of the Church, and the Church will take care of you. Obedience is the rat race and, as Lily Tomlin observed, even if you win you’re still a rat. And rats desert a sinking ship, as you may know. Perhaps dissent is the answer. Except dissent can get you thrown off the ship entirely. So for a long time (it has seemed to me) I have thought principled and consistent dissent the highest lyric of our Christian life. It is not. The highest form of that life is trust. Did we not trust at the first? Yes, a smidge. That’s what makes it kind of round and paradoxical and fun: it ends there, and in a small way it started there. The beginning stage of love is to believe there is only one kind of love. The middle stage of love is to believe there are many kinds of love, and the Greeks had a word for each. The ending stage of love is to believe there is only kind of love. But at that first we lived by sight, not by faith. Functionally, I mean — consistently and most often — we depended on what we could see, not on Whom we believed. We could see rules and law. We could know (visibly) when we did X there was (also visible) penalty Y and solution (again visible) Z. These were manmade mostly, but I don’t mean that as dig. We did our best. But at that time — during, as I’m calling it here, Obedience — we didn’t do His best. For that we needed to begin to question, to doubt again — to, as I’m calling it here, Dissent. And Dissent is crucial and it did a lot in the life of Jonah. But it isn’t the highest form of the Christian life. And so we come to Trust. In obedience we lived by sight not by faith. We began to suspect there was something wrong with God, or the world entire, or at least with other Christians. Two out of three ain’t bad we said. We begin to dissent. But it’s in trust we realize that while the “two” are still Christians and the world entire … the third isn’t God. We stand humbly with Pogo on that one. As we move from dissent to trust, we realize it’s not God who’s all jacked, but we ourselves. Ourselves alone, as my Irish forebears might put it. Each of the three — obedience, dissent, trust — aren’t just linear but advancing. The move from first to second is, I believe, easier than from second to third. And I like the image of the wave, with its occasional crashing. Because you can surf waves, and sail them, and even, it has been reported, walk upon them. We start in faith über-obediently — which, yes, is like saying “very unique” … but truthily we know people, Christians, who took sin rather more seriously at the start until we realized (just as Adam and Eve had done?) that it doesn’t always result in our immediate death. This is obedience, and it’s good and necessary and can even save our lives. Later we say a Christian “makes his faith his own,” or she comes into a maturity unknown and previously unowned. Of course we’re not always comfortable with the conclusions someone comes to when thinking different; their thoughts are not our thoughts. That’s dissent, and it can be a difficult time; it can even end up killing us. Then there is Peter. We can be reliably uncertain about what he’s going to do, because trust means we do not always know ahead of time, or agree when we find out — but in the moment we do it. How can such behavior be charted out except to say we get out of the boat? So there we have trust. It includes elements of both obedience and dissent. And it is life itself. Three sailors who can show something of the arc (no pun intended) of our Christian life: a parable — but not a parabola. It’s a gradually ascending, oft curling, occasionally crashing, line. It’s like a wave, really. 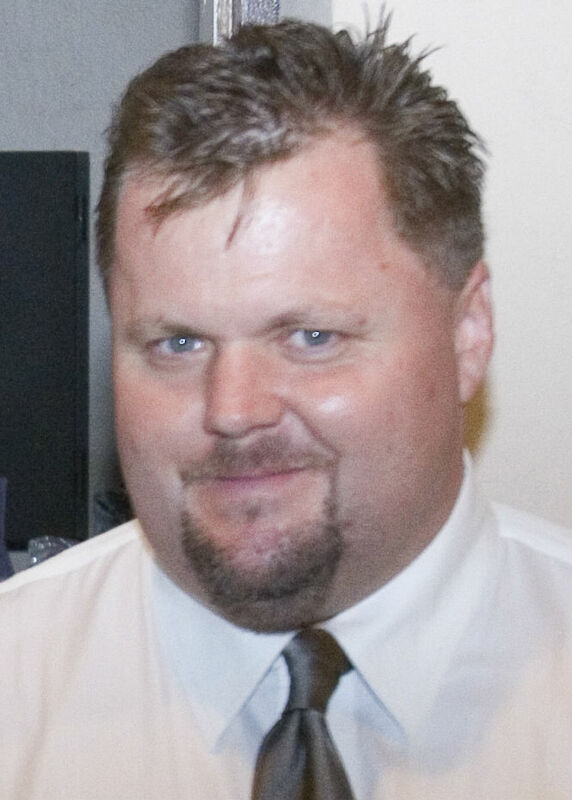 Paul Hughes is a writer in Southern California. He’s made more than a dozen books and ebooks, available here and here. His website is here. Two-time defending American Southwest Conference volleyball champions Hardin- Simmons is the preseason choice to win the ASC West Division and HSU senior Madison Reyes and junior Christine Sas have been named the preseason offensive and defensive players of the year in the division. The Cowgirls went 29-6 in 2011 and won the ASC title. HSU received 11 of the 12 votes in the poll of the leagues head coaches and sports information directors and had 71 total poll points. Texas Lutheran received the only other first-place vote and was a distant second with 60 points. Concordia, Schreiner, Howard Payne, and Sul Ross State rounded out the poll. Reyes, who was the league MVP as a junior outside hitter, led the ASC with 3.84 kills per set a year ago. She was also the MVP of the ASC tournament. Sas, who is also an outside hitter, averaged 3.77 digs per set and also had 2.84 kills per set and led the league with 58 aces. Texas-Dallas was the preseason pick to win the ASC East. UTD’s Dana Hilzendager was the preseason offensive player of the year in the ASC East and Texas-Tyler’s Emily Wood was the preseason defensive player of the year. NASHVILLE, Tenn. (ANS) – NFL Hall of Fame quarterback Jim Kelly shares fatherhood advice in his new book, The Playbook for Dads – with Ted Kluck – (FaithWords/Hachette Book Group, September 2012). Kelly, who spent 11 eleven seasons as quarterback of the Buffalo Bills, helped lead the team to the playoffs eight times, including four Super Bowls. The Kellys have shared Hunter’s story all over the world and in Jill’s book, Without a Word. Relaying insider information on his toughest job, Kelly tackles 10 important lessons that fathers should be sharing with their children. According to a news release, relating personal experiences on and off the field to fatherhood, Kelly walks fathers through his game plan, challenging them to coach their children through 10 important lessons: thankfulness, confidence, respect, preparation, passion, perseverance, character, responsibility, teamwork, and spiritual life. “It seems like many of these principles are fading away in our society, and I think it’s our job as fathers to preserve them and pass them along to our children,” writes Kelly. In September 1997, three months after their infant son, Hunter, was diagnosed with a fatal disease, Jim and his wife, Jill, founded the Hunter’s Hope Foundation. Sadly, Hunter died at age 8 from Krabbe diesease. Each parenting lesson begins with a letter to his late son and ends with a letter to his two daughters, Cam and Erin. Kelly shares details of his and his wife Jill’s journey to Christianity after the passing of their son, and how that experience has changed their lives for the better – forever. FaithWords publishes books for the growing inspirational market. Based near Nashville, Tenn., FaithWords has grown dramatically by acquiring a solid list of faith-building fiction and high-profile authors with edifying messages, including best-selling authors Joyce Meyer, Joel Osteen, John Eldredge, and David Jeremiah. Several FaithWords titles have appeared on national best-seller lists, most recently Every Day a Friday by Joel Osteen, Living Beyond Your Feelings by Joyce Meyer and I Never Thought I’d See the Day! by David Jeremiah. As said in 2 Corinthians 5:7 “We live by faith, not by sight” (NIV). Having faith through the good times and bad is the key to living life to its fullest. When life starts to get hard, you push through it, and come out strong. Keeping your faith alive and strong makes you see more to life when everything is going well. And then when things start getting hard, because of your normally strong faith, it will be easier to make it through the rough patch. God is always there for you to turn to when things don’t go your way. God wants us to, and teaches us to trust in Him always, no matter what. Even though people aren’t always there for you and sometimes can let you down, God won’t. God never gives up on anyone and helps you through everything. If you want God to help you, you need to let Him. You need to let Him into your heart, life, and soul. Your relationship with God will depend largely on your view of Him. When someone says, “Why me,” God has gotten His way. He wants to get your attention, and clearly He has if you acknowledge the problem. You know the problem is there and now how you deal with the problem is all up to you. Elise LaVan, a junior at Montini Catholic High School in Lombard, Ill., is just a normal teenager finding her place in the world, exploring, and having a great time doing it. The best thing in the world to Elise is being happy and laughing all the time. To contact Elise, email her at pewnews@aol.com. NEW YORK (ANS) — Swirling winds and heavy mists from the falls below completely soaked famous aerialist Nik Wallenda as he gingerly balanced on a steel cable 200 feet above the raging torrent. “I prayed non-stop,” says Wallenda, 33, a born-again Christian. “The Bible says to pray without ceasing and I’m always praying,” he told ABC’s Good Morning America on June 18. Wallenda made history Friday night when he became the first man to walk over Niagara Falls on a tightrope in a 25-minute spectacle televised live on ABC News. Before he began the audacious attempt, he fasted for eight hours. Then his wife, Erindera, and three children joined hands in a small circle and prayed along the riverside before he set out, just after 10 p.m. The mist was so thick it obscured him from the Canadian side for the first 10 minutes. Wallenda wore a waterproof outfit and leather shoes specially designed by his mother. Powerful TV lights focused on him the entire journey, as 10 million people around the world followed the event on television. 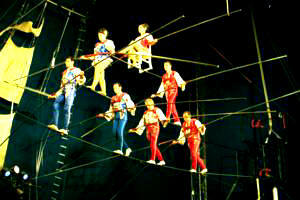 The acrobat had a two-way radio and a small earpiece, and was able to communicate with his father. His microphone allowed TV viewers to hear him praising God throughout the journey as he traversed the cable from New York to Canada. 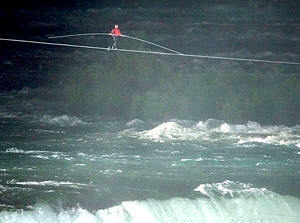 “My God, it’s incredible, it’s breathtaking,” Wallenda said when he first started over the horseshoe-shaped falls. “Oh Lord, you’re my Savior, you’re my King,” he exclaimed, as he balanced over the most dangerous part of the falls. At one critical moment, his forearm began to cramp and his hand went numb. Before he began the audacious attempt, he fasted for eight hours. Then his wife, Erindera, and three children joined hands in a small circle and prayed along the riverside before he set out, just after 10:00 p.m. The mist was so thick it obscured him from the Canadian side for the first 10 minutes. The acrobat’s astonishing feat adds to the legend of the renowned Wallenda family, famous for thrilling audiences and the subject of a 1978 TV movie, “The Great Wallendas.” Nik is a seventh-generation circus performer within the famous family. He grew up in a “Bible-believing, God-fearing family,” which he says provides stability and peace. In a down economy, many Americans are searching for advice on how to manage their finances. But whose advice do they trust? 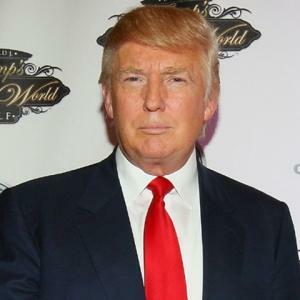 A new study shows more Americans are willing to take advice from Donald Trump (50 percent), a man whose companies have filed for bankruptcy at least four times, than from the Bible (32 percent), the best-selling book of all time. Yet the Bible has more than 2,000 verses that relate to money and possessions. The Bible’s counsel about personal finance is certainly timely. The Financial Stewardship Bible is a collaboration between American Bible Society and Compass—Finances God’s Way. Not a new translation, The Financial Stewardship Bible is the first to highlight more than 2,000 verses about God’s perspective on money. The integrated study guide focuses on topics including earning, spending, investing, debt, bankruptcy, cosigning, inheritance, and saving for retirement. Headquartered in Manhattan, the 195-year-old American Bible Society exists to make the Bible available to every person in a language and format each can understand and afford so all people may experience its life-changing message. For more information, visit AmericanBible.org. By Pastor Grelan Muse Sr. Remember the talkshow from years back called “Forgive or Forget”? The program was hosted by Mother Love and Robin Givens, and individuals went on the show to discuss horrible events in their lives. The offender and the hurt individual discussed the situation amongst themselves and with the audience. At the end of each segment, the host asked the hurt individual if he or she would forgive or forget the act. For some people, that is a difficult question to answer. Do you forgive the person yet never forget what they did? Or, do you hang on to the anguish and anger of the past wrong? Possessing a negative mind keeps you from experiencing the peace Christ Jesus has given to each of us. Do not allow the past to dictate your future. Colossians 3:13 reads, “Forgive as the Lord forgave you” (NIV). 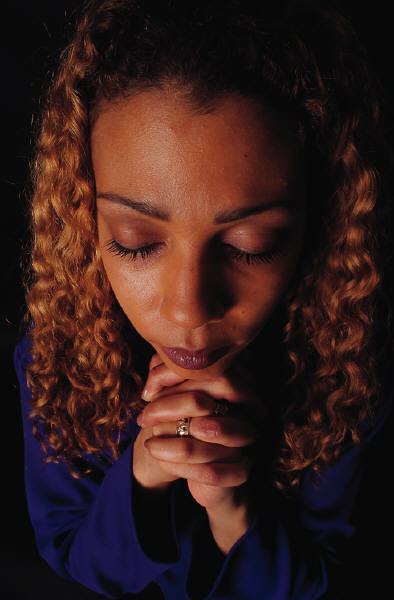 It is God who forgives us daily for our missteps, so it is only fitting that you pray to overcome your woes, and pray for the person who has offended you. I will admit that forgiveness is a hard step to take, but as Christians we must let it go and move on. Forgiveness is the just thing to do, and it is required because our Heavenly Father tells us to do so. Paul said in Romans 12:12 and Romans 12:17 that we must be patient in affliction and faithful in prayer and not repay evil for evil (NIV). There are many people I have encountered through the years in ministry who have been hurt by a loved one – mother, father, sibling, spouse, etc. There seems to be no closure in their minds or in their hearts. What eventually happens is these individuals began to transfer their negative energy onto other people. But, praying, shedding some tears, and talking about their situation will allow people to release that negative energy and live a renewed life that is not filled with stress. Grelan Muse Sr. is founder of Emanuel and The Mainline Ministries Inc. (www.emmnetwork.org), a 501 (c) 3 nonprofit organization, and Inside The Pew (www.insidethepew.net). Connect with us @PewTalk on Twitter and @Inside The Pew on Facebook. As pastors usually do, Shook will have a visual illustration to help the congregation understand the message he will preach. But this will not be just any ordinary means of helping attendees to visualize his teaching points. After their incredible high-wire performance, Pastor Shook interviewed Tino Wallenda, his two daughters, Alida, Aurelia and his 10- year-old granddaughter, Ysabella. Wallendas recently made appearance during Woodlands Church sermon. Kerry Shook is one of today’s most gifted communicators offering a clear, contemporary and creative teaching style. He is the senior pastor of Fellowship of The Woodlands, one of the fastest-growing churches in America. Kerry and his wife, Chris, founded Fellowship of The Woodlands in 1993; and since then, the church has grown to 17,000 in average attendance each weekend. Fellowship of The Woodlands, now Woodlands Church, is one church in three locations with its Fellowship campus in The Woodlands outside of Houston; a satellite campus in the Humble/Kingwood/Atascocita area; and its newest location in the Tomball area. Future satellites are in the planning stages. Pastor Shook believes that church should be engaging and fun, calling it “The Best Hour of Your Week.” He strives to eliminate the barriers of boredom, unfriendliness and fear that keep people from experiencing not just religion but a relationship with Jesus Christ. His messages are relevant, and his illustrations memorable. Chris Shook is the director of Missions and Women’s Ministry at Woodlands Church. Her missions work has touched thousands of under-resourced people locally and in numerous countries around the world. Her Women’s Ministry is one of the largest in the country, providing fellowship, worship and Bible study opportunities to hundreds of women each week. Kerry Shook Ministries is a worldwide television ministry that broadcasts to a local, national and international audience. Pastor Kerry and Chris can now be seen by millions in 50 states and more than 200 countries worldwide. The church meets at 1 Fellowship Drive, in The Woodlands. Service times are Saturday 6 p.m., Sunday 9:30, 10:30 a.m., and Sunday evening at 6 p.m.
For more information, please visit www.WoodlandsChurch.tv or call 281-367-1900.